SugarCRM provides you with the option to create and schedule calls for customers related to Sales, Support or Marketing. In the next few lines we will provide more information on how exactly you should manage the Calls of your organization in SugarCRM CE. The calls page is available in the Activities module. Thus in order to access the page you will need to login into the SugarCRM CE application and then navigate to Activities > Calls. 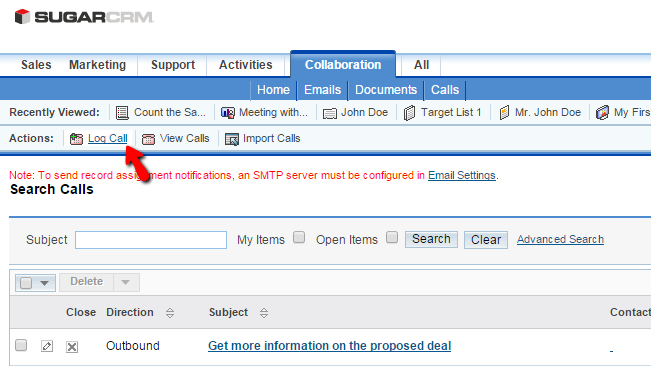 There you will be able to fully manage all of the calls you have added to your SugarCRM installation. In order to add calls into your SugarCRM CE instance you will need to access the home page of the Calls module and then to use the Log Call button located in the top horizontal Actions bar. Once you are ready with these you can move forward to the next section where you will be able to see how the call is scheduled in calendar view. The final sections will allow you to add invitees to this call. When you are ready with all these configurations please click on the Save button so you can be able to save your call and add it to the list. When you have already existing calls added to your SugarCRM CE instance it is quite easy to manage those. The following two management activities we will discuss are editing and deleting calls. In order to edit a call you will need to access the Calls home page and then to find the call you would like to edit. 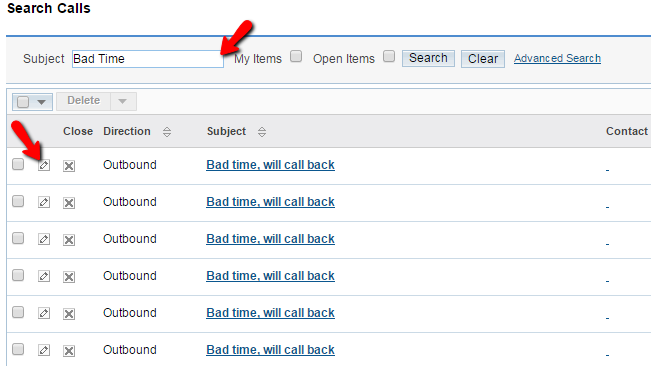 You can use the Search module so you can search the subjects of your calls for the one you would like to edit. Once you find the call please click on the small pencil-like button so you can be presented with the editing interface. The interface is quite similar to the one you have used to log a call, however this time the fields will be configured already. Please edit those and once you are ready please click on the "Save" button in order to finalize the edit. The final management activity you should be able to perform is to delete a call you have already added. 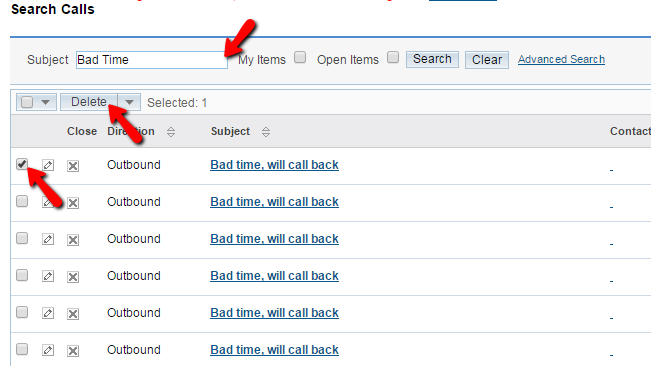 In order to delete a call you should access the home page of the calls, find the call you would like to delete using the search module, select the calls you would like to delete by clicking on the check box located before the information for every record. Once the record is selected please click on the Delete button on top of the table view and once you confirm the deletion via the pop-up it will be deleted. Congratulations! 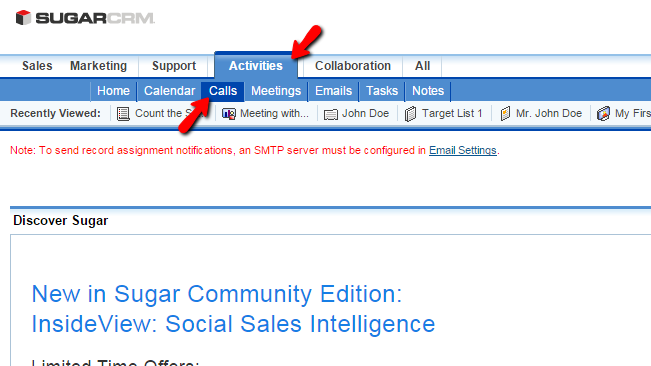 You now know how to manage the Calls of your organization in SugarCRM CE instance!